We sat down with Sarah Doody—user experience designer, product strategist, and design educator—to talk about her career, the democratization of UX design, thinking like a designer, and the 5 qualities every designer should have (hint: knowing Sketch isn’t one of them). I’m Sarah Doody, and I’m a user experience designer, consultant, and writer. And I actually got into user experience before I ever knew that it existed. I was working at a little web agency and I was doing graphic and web design, and front end coding, and I remember we launched a couple projects and I thought to myself: “Why is what we launched, not what we really set out to do?” And that happened over and over. That was 15 or so years ago. Since then, I’ve really focused my career on user experience. And for me, user experience really breaks down into 3 buckets. Firstly, there’s the research and strategy side of things—looking at that research and coming up with what should we make. And another bucket is devoted to coming up with wireframes and such. And then there’s the visual or design aspect. For myself, I focused in on the research and experience side of things. I have a background in graphic design, but I just realized I didn't want to do the visual design anymore. Career-wise, I've worked at both startups and large Fortune 500 companies. But for the past 6 years I've been running my own UX design consultancy, which has been lots and lots of client work with companies in tons of different industries and stages. It’s been awesome to see how teams operate at different scales. More recently, in the past 2 and a half years or so, I've really focused on education and my own online and in-person workshops and online courses. And that has been cool because now I have my own products, basically. I mean, you don't think of an online course as a product, but it is and it has all the stresses of an app in the app store or some big e-commerce site. Working as a consultant must give you some interesting insights into different companies and the role of UX design in different contexts. Can you share your observations and thoughts? It's always amazing to me to get a peek inside of a company. Because I think no matter how great a company looks from the outside—culture or product or what have you—there is always kind of like organized chaos, sometimes disorganized chaos, internally. You realize that the adults in the room don’t know what they’re doing either? And you know, all these amazing advancements in UX tools—software that allows someone with no experience to prototype and put boxes and buttons on a screen, let's say—it has democratized the field to the point where it’s easy for an amateur to use Sketch or Balsamiq and get involved. And on the one hand, that’s great. But the downside is that as soon as you have multiple folks involved, you have a classic “where there are people, there are problems” situation. The real role of UX isn’t about ticking boxes and knowing software. It’s understanding how to deal with people, read people, tailor your process to people. For instance, I’m working on a big redesign project for a client right now, and there are a ton of internal politics and all of these stakeholders. The CTO just left actually, so there’s a ton of turbulence, which means I just can't move as fast as I had planned to because so much of our process now has to be educating everyone about every step of the process. And you don't learn that part in design school. Of course. Now, you mentioned the democratization of design briefly. Can you elaborate on that—what the benefits and pitfalls are? One client I worked with showed up with nearly 100 pages of Balsamiq wireframes. And first of all, I thought, oh my goodness, this must've taken them so much time! And on one hand, it helped speed up our engagement because they had done a lot of the discovery work and that helped them think through a lot of the details. But the downfall is that once people get into software, it's kind of a snowball effect. You make one screen, you make another and another and another—and you may not be designing for what users need because you're in this groove and seeing these deliverables is giving you a false sense of security and progress because you can work so fast. And it’s easy for folks new to design to get caught up in creation and skip over the step of validating their designs. And the other part about the democratization of design is that when people—say, the founder of a company, for example—create these mockups or designs, they become emotionally connected to their creation. It’s their baby. They not only get their idea onto a screen, but their hand actually moved the mouse. They’re so much more invested in their idea at that point. But that doesn’t mean it’s the right design for the users, and without a real understanding of UX it can be hard to see that. And of course, as a designer you can learn Sketch, or InVision, or Adobe XD, or whatever—and then wake up tomorrow and there’s a hot new tool that you need to use. Or maybe you get fired and at your next job you’re expected to use different software. If your identity as a designer is completely tied to your tools, then you’re not going to have the soft skills to navigate stakeholder relationships or the ability to think like a designer and adapt to new situations. What does “thinking like a designer” look like to you? What are some of the qualities that designers should have? So, there are 5 big ones for me. 1. You have to be a problem-spotter, not just a solution-maker. And I think to myself, if you are asking me that question, I'm not sure you're really going to have a career in design. Because if you can't look at the world and see the flaws in a subway ticket machine, or TSA process, or an online checkout, or whatever— if you can't spot these problems in your day-to-day life and think of solutions, then you're probably going to not be able to spot them in your job, you know? 2. Be able to look beyond the immediate. ‍So many people are just focused on looking at the symptoms, especially because symptoms are what people come running to you to fix, right? But, you need to think like the doctor or investigator and recognize what those symptoms indicate on a deeper level. That just doesn't apply to when your founder or CTO comes to you with a problem. Looking beyond the immediate also applies to user research. And it applies to stubborn stakeholders! I've dealt with many of those. I remember this one person I dealt with—it was always, always a battle. For whatever reason, we just clashed. And I thought to myself: Why is this happening? And then I figured it out. In her role, she was responsible for a ton of revenue and so she made these promises to others about features in the product. The features didn’t even do what she was promising, but that’s why she was being so stubborn. She needed to see these impossible results and was trying to make it happen. 3. Be a design educator, as well as a design executor. On my website I say: justify, justify, justify. It's so easy to chase trends, especially if a founder is coming to you and is doing what they saw Uber do because they think that's a recipe for success. When Pinterest really got popular, there was this Pinterest-ification of websites. I went to the homepage of a top news network one day and it was this Pinterest-like grid layout. But it was terrible because, first of all, a lot of news stories are negative, so it's not visual content. So we have to justify our design decisions and not to chase trends. 5. You have to love the process. So many teams and designers are focused on getting to that final deliverable. But you can't let that drive the process—you have to make sure that you're not moving so fast through the design process that you can't recognize where you could grow as a designer, and learn to do things differently for the next project. Sarah is such a wealth of UX knowledge that we couldn’t fit it all in one article! We’ll be back next week with part 2 of this interview. Stay tuned for more on stubborn stakeholders, accessibility, consumerization, and much more! 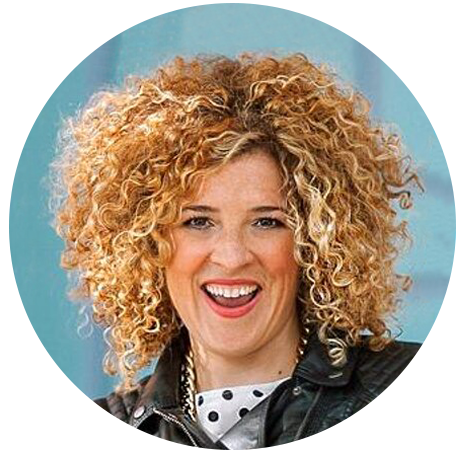 Sarah Doody is a user experience designer, product strategist, and design educator. She is a contributing author to UX Magazine, InVision, UX Mastery, UX Matters, and has been published in the New York Times. She also co-developed and taught General Assembly’s first 12-week User Experience Design Immersive, as well as teaching her own UX courses. She can be found on Twitter (@sarahdoody) and at sarahdoody.com.